The “4 Aces Cinco Jotas” is an essential selection for any fan of ibérico delicacies. The “4 Aces Cinco Jotas” is an essential selection for any fan of iberian delicacies. 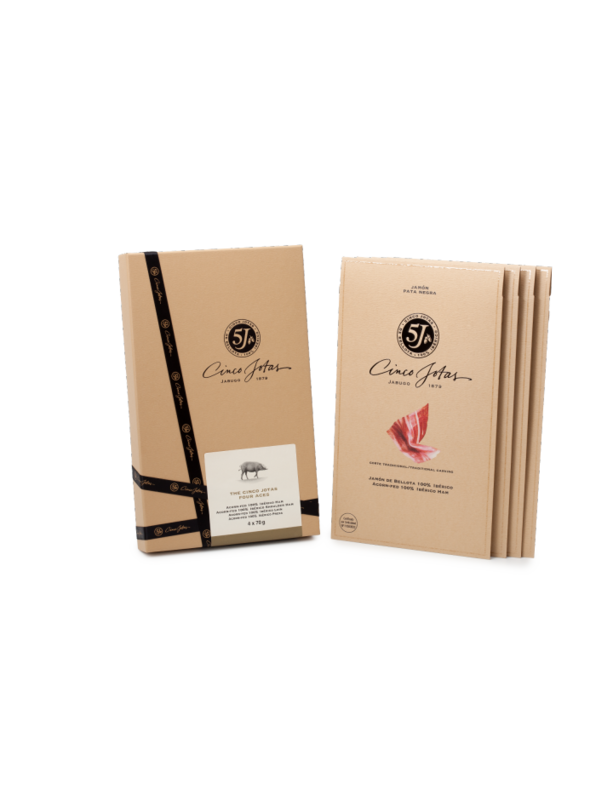 This offer includes one 70 g pack of sliced Acorn-fed 100% Ibérico Ham, one 70 g pack of Acorn-fed 100% Paleta (Shoulder Ham), one 70 g packet of sliced Lomo (Loin), and one 70 g packet of sliced Caña de Presa (Shoulder Cut).